TODD: Hello Ms. Morgen. I’m Todd with XYZ. Are you interested in new car insurance? TODD: Is your main concern lowering your costs? TODD: You don’t care about saving money? SDM: Of course I do. TODD: So your main concern IS lowering your costs? TODD: So what is it? SDM: I’m interested in a personal connection, in knowing that if I have an accident I will be handled by someone who will take care of me. TODD: I can promise you I’ll take care of you. My clients love me. Do you want to discuss how much you’ll save? Good sellers and coaches pose better questions than Todd’s, of course. But the conversation exemplifies how a Questioner’s biased questions can significantly influence outcomes. 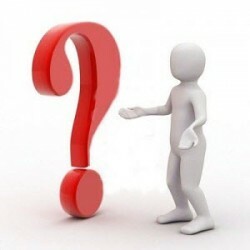 Questions restrict answers to the assumptions and biases of the Questioner; Responders respond within the limits set by the question. Asking someone “What did you have for breakfast?” won’t elicit the answer “I bought a lamp.” Even questions that attempt to open a dialogue, like “What can you tell me about the problem?” or gather data, like “Who’s in charge of decision making?” merely elicit top-of-mind responses that my not effectively represent – and indeed might cloud – the issue. Biased question; biased answer. Sometimes questions are so biased and restricted that the real answer might get overlooked. ‘Do you prefer the red ball or the blue ball?’ excludes not only the green ball, but a preference for a bat, or a discussion about the Responder’s color blindness. But a question such as: ‘What sort of a game implement could be easily carried and engage all employees?” might elicit a response of a ball or marbles or Monopoly and include more team members. the question encompasses the full set of possible responses. What if the best answer is outside of the framework of the question? Or the question isn’t translated accurately by the Responder? Or there is an historic bias between the Questioner and Responder that makes communication difficult? TODD: Hi Ms. Morgen. I’m Todd, an insurance agent with XYZ Corp. I’m selling car insurance. Is this a good time to speak? TODD: I’m wondering: If you are considering changing your insurance provider, what would you need to know about another provider to be certain you’d end up getting the coverage and service you deserve? The question – carefully worded to match a Responder’s criteria for change – shifts the bias from Todd’s self-serving objectives to enabling me in a true discovery process; from his selling patterns to my buying patterns. How different our interaction would have been if his goal was to facilitate my buying decision path rather than using his misguided persuasion tactics to sell. I developed Facilitative Questions decades ago to enable any Questioner to facilitate someone’s route to congruent change. With no manipulation or bias, they require a different form of listening, wording, and objectives, thereby avoiding resistance and encouraging trust between sellers, coaches, consultants and their clients. *How are your questions perceived by your Responders? How do you know? What’s your risk? *How do your questions address a unique Responder’s decision criteria? *How do your questions bias, restrict, enhance, or ignore possibilities? *What criteria to you use to choose the words to formulate questions? *To ensure any new skills would work effectively with your successful skills, what would you need to know or consider before adopting additional question formulation skills? Remember: your innate curiosity or intuition may not be sufficient to facilitate another’s unconscious route to change – or buy – congruently. You can always gather data once the route to change is established and you’re both on the same page. Change the goals of your questions from discovering situations you can provide answers for, to facilitating real core change. Before buyers or clients will work with you, they have to do this for themselves anyway. You might as well do it with them and create a trusting relationship. Sharon Drew Morgen is the NYTimes Business Bestselling author of Selling with Integrity and 7 books how buyers buy including Dirty Little Secrets, why buyers can’t buy and sellers can’t sell. She is the developer of Buying Facilitation® a decision facilitation model used with sales to help buyers facilitate pre-sales buying decision issues. She is a sales visionary who coined the terms Helping Buyers Buy, Buy Cycle, Buying Decision Patterns, Buy Path in 1985, and has been working with sales/marketing for 35 years to influence buying decisions.